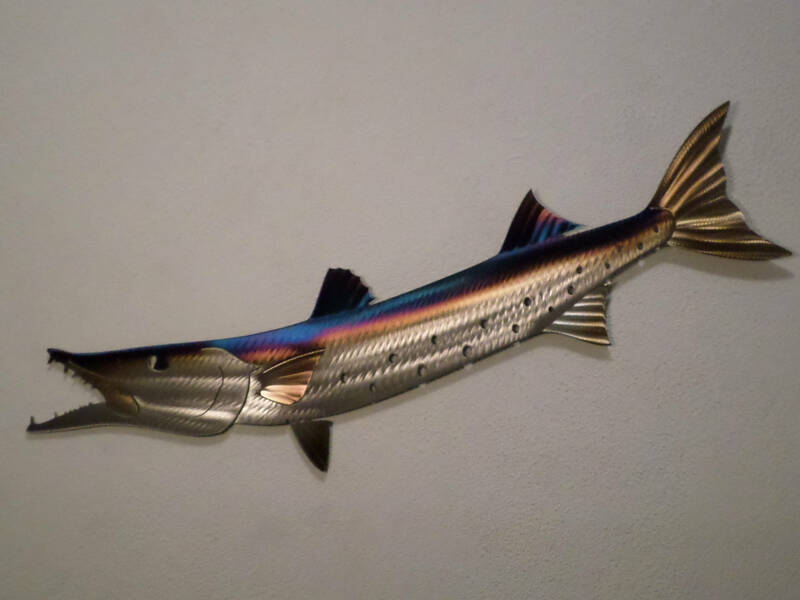 This is a beautiful one of a kind Hand-made, Heat Treated/Torch Colored Barracuda. Its crafted out of 16 Gauge American cold rolled steel.This piece is 100% designed my myself. They are cut out, ground, filed, polished and detailed by hand one at a time. Then they go to my wife where she works her magic with the torch. This gives them the beautiful tones of gold, purple and blue that help create the depth and three denominational look. Each fish has hangers welded to the back. So they can be easily attached to the wall. 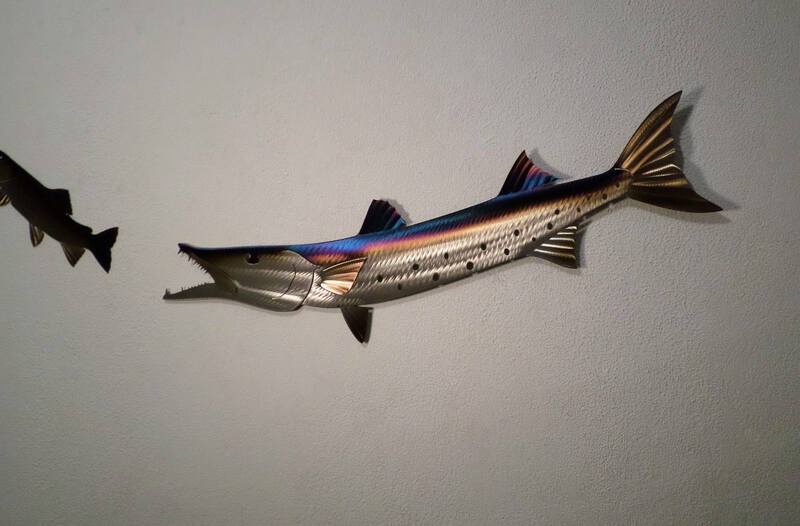 Each fish will set 1/2"-7/8" off the wall. This allows them to cast a really nice shadow and gives it the swimming affect. The fin and the gill plate are folded out which really gives them a life like look.The tail can also be folded out if you choose. We treat the metal to protect the finish and prevent indoor rust. We feel this makes each one a true original. If you would like something custom made. Or an item we have in a different size and or color please feel free to message for a quote. Please ask us about variations before you purchase. Thanks for looking Have a good day! !